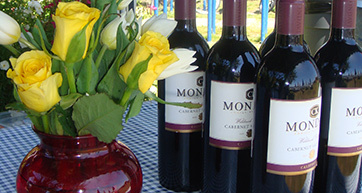 Shoreline Lake offers informal wine tasting via a seasonal, in-house Wine Seminar Series, "From Grape Juice to Vintners Reserve." Independent of each other, these seminars are a great way to "dip a toe" and learn some useful basics for social (as well as business) settings, while having a relaxing time, in pleasant surroundings. Perfect for anyone overwhelmed by (or unfamiliar with) wine, each seminar focuses on a practical topic, showcased by the wines provided during the tasting, without needing to make a huge commitment of time or engage in serious study. 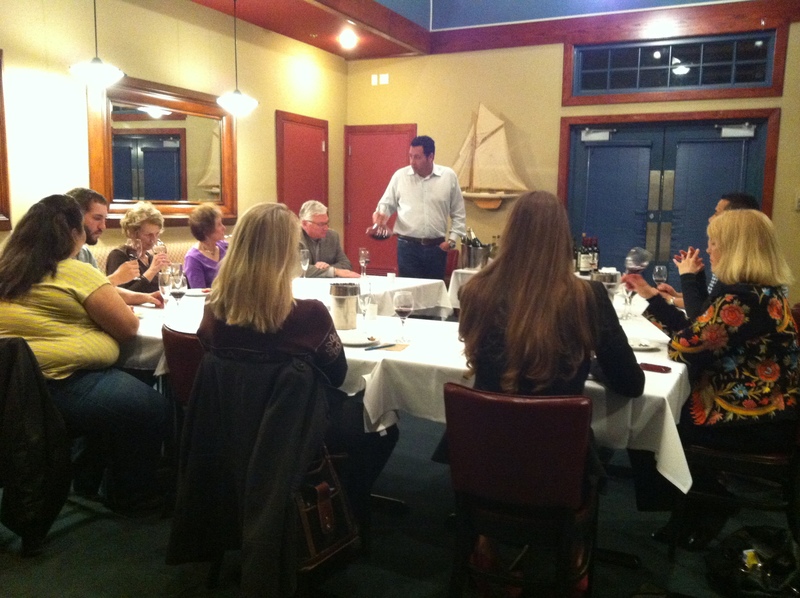 Seminar and tasting focusing on the basics of wine tasting, and giving wine as a gift. Seminar and tasting focusing on different wines from France. Seminar and tasting that demystifies how wine is served depending on type. 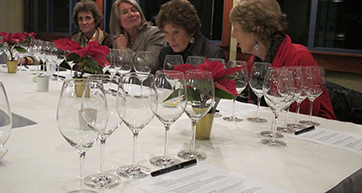 Seminar and tasting regarding storage of post-holiday gifts of wine or leftover wine. Is it too old to drink? Primarily a tasting of newly released Beaujolais Nouveau from different negociants. Timing: Availability restricted due to traditional release date (3rd Thursday of November), but coincides with Thanksgiving and other Holiday celebrations. Includes a quick talk about history, publicity stunts associated with the release (e.g., skydiving & cross-country racing to be the first to offer it in London), popularity, usefulness for pairing with Thanksgiving Dinner, etc. Brief discussion of the fundamentals of why certain foods pair better with specific wine types and styles. Tasting of entry level, yet classic food and wine pairings that showcase why these pairings work compared to combinations that don’t. What are the rules for pairing wine and food? Overview of general “like with like” pairing guidelines. Brief discussion of the general characteristics of wines that will go with the variety of foods most commonly served during the Holidays. Tasting of a variety of readily available Holiday-Friendly wines, with the type of foods they complement. What wines go with Holiday foods? Opportunity to try different wines with different dishes, as a way to do one’s own informal tastings. Sampling of classic pairings during the Holiday Season. 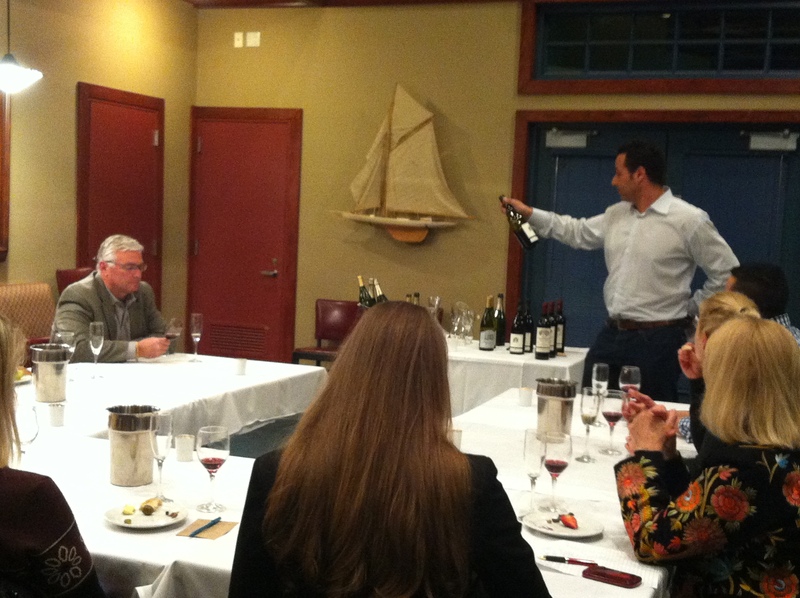 Seminar and tasting focusing on wines produced in the US. All seminars are held at the American Bistro in the afternoon/evening (depending on the season, either in the Banquet Room or on the Bistro Patio). 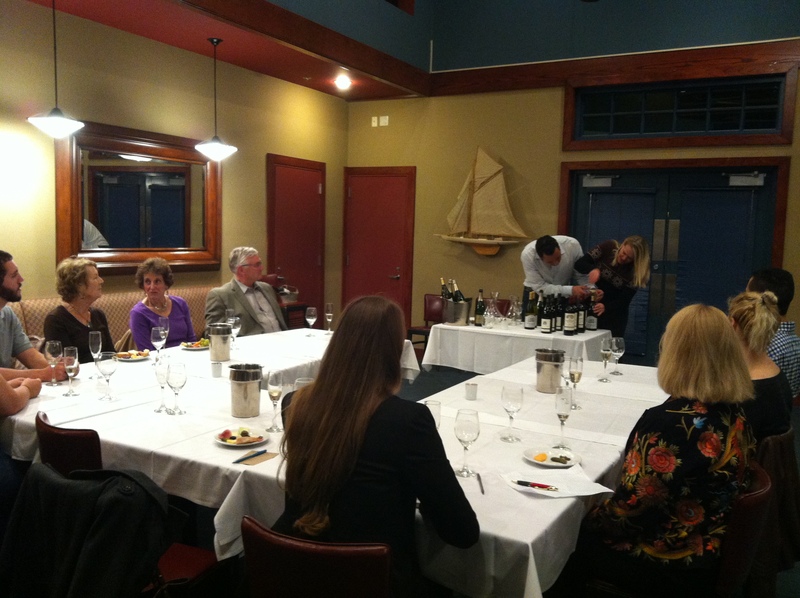 All persons attending a Wine Seminar must be 21 years of age or older. Attendees must present photo ID in order to enter the seminar. To register for one of these seminars go to our registration page.